Currently, Digital Media is accessed through multiple formats and across a myriad of networks. In addition to the large number of digital outlets for media, consumers have several devices that bring their media to them, wherever them may be. The growing number of “multi-screen” users — those who view content on a tablet, mobile, and desktop — also exponentially increases the chances for engagement. But the fact that “digital is the most measureable and targetable medium” is the most important advancement that digital has made over its non-digital counterparts. Digital has also revolutionized the way brands and consumers interact: “Actions in social networks have changed how bidirectional communication works between brands, companies, and consumers. Social channels, high segmentation and conversions must be taken into account, when planning a strategy.” -Rafael Clarimón, Cubo Design. The digital revolution has relied on disruptive innovation to lead the shift of media away from the traditional archetype. This business model relies on emerging technology to impose new valuations on to an existing market; thus leading to the new values overtaking the old. By this model’s nature, it requires companies who want to thrive in digital to constantly discover new solutions; leading technologies to evolve at accelerated rates. To learn more about this, download this free eBook: Understanding a New Era of Digital Media. I believe that we are already fully immersed in a new era in which communications between company and client are bidirectional. In the digital environment, businesses must be adaptable, cultured, and customer-focused to be competitive. But because companies are just now beginning to realize the previously untapped advantages of digital, it is still fairly young. As this is the case, companies differ across the board about how to digitally engage their potential customers and leads, with even top companies not confident in their digital practices. To succeed in digital, brands must embrace cutting-edge technologies, responsibly communicate bidirectional with consumers, and invest in flexible practices that are adaptable to disruptions. Marketing, Trends bidirectional communication, brands, consumers, digital media. permalink. awesome this is great.. Wonderful information Thanks..
Sezion helps marketers increase their engagment and sales by automatically creating a Personalized Video for every customer, content and occasion. 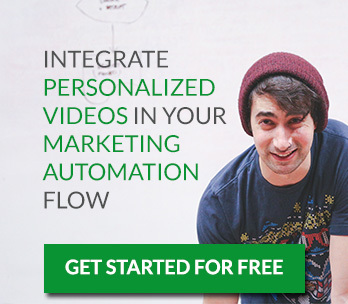 Marketing Automation Meets Personalized Video.